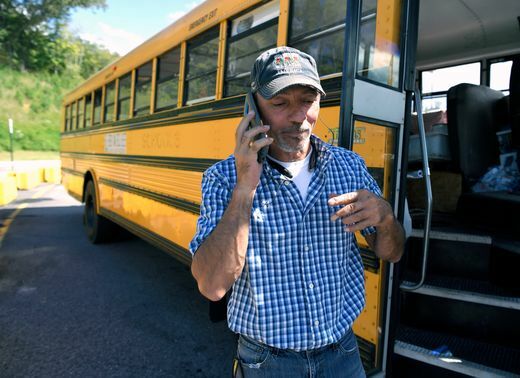 In the middle of the night on Wednesday, September 12th, as Hurricane Florence ravaged the Carolinas and extensive flooding forced many residents to evacuate, Tony Alsup was driving an empty school bus into the storm to retrieve cats and dogs left behind. The animals, according to The Saint Frances Animal Center in Georgetown, were “the dogs with blocky heads, the ones with heartworm.” In total, Tony’s rescue operation included 53 dogs and 11 cats, all of which piled into the bus and made it safely to a shelter in Foley, Alabama. Because of Tony’s big heart, these animals, deemed the “leftovers” are now safe and sound and up for adoption. As for Tony, his rescue mission has gone viral around the country as animal lovers salute the truck driver for his act of kindness. When asked if the bus full of animals was chaotic, he remarked, “They know I’m the alpha dog and I’m not here to hurt them!” Bravo, Tony, on behalf of the team at Pampered Pets, we love you! If you are looking for ways to help in the aftermath of Hurricane Florence, click here or here.